The AeroChaser speeder bike was a model produced by Lhosan Industries. The speedy bike was designed and manufactured on Taris and popular throughout the galaxy due to its high velocity, durability, and large number produced. The single-seat bike was used by the Republic military during the Mandalorian Wars due to its ability to outrun Basilisk war droids. 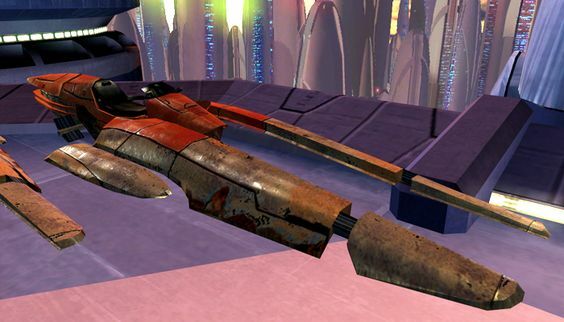 The military discontinued their use of the vehicle during the Jedi Civil War, but the model continued to be popular with civilians, particularly outlaws, especially because of its ease for modifications.